← How have I never heard of Maisons Du Monde before?! At this time of year, when we start to get more prolonged periods of sunny weather, I start daydreaming of the Summer to come. I know mostly I will be disappointed – I do still live in Wales after all – but I am resolutely a Summer person. The feeling of going out and not having to take a jumper – just in case. Wearing sunglasses. The first day of getting your legs out – without tights. Light evenings. Freckles. I love it all! The main thing it makes me think of, in terms of Interiors, is White. I think in this country, with our variable levels of light, and regularly chilly climate, white can look quite cold and uninviting. 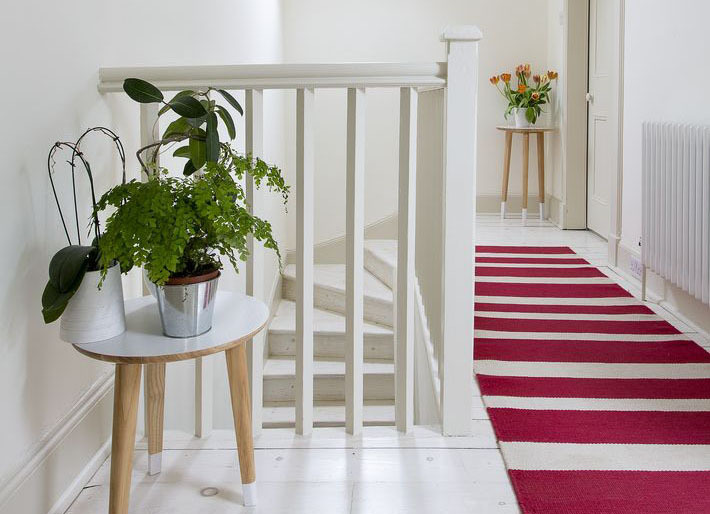 We painted every room in the house white before choosing our final colours, and in most places it just looked a grubby grey colour – we really don’t have the light for it in our East-to-West facing terrace. These two images are of the same home in Scotland. 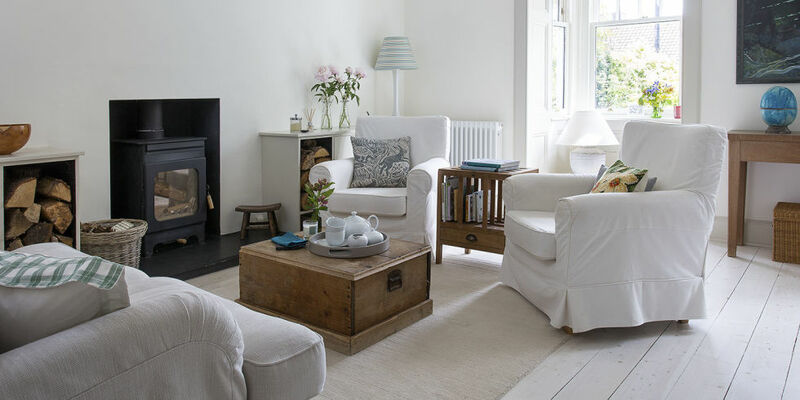 I love how cosy the homeowner has made the lounge feel, even with a very cool palette – it feels welcoming and casual thanks to the loose covers and rustic furniture. The landing, meanwhile, feels really modern – the runner is a stroke of genius! I love this little girl’s room. The original fireplace looks great painted white, and the other traditional touches are in keeping with the period property. This is the living room of an apartment in Norwich (England). I love how the floors, walls, ceiling, furniture all merge together, letting the monochrome geometric pattern and very-on-trend pot plants sing. I really think it’s stunning! 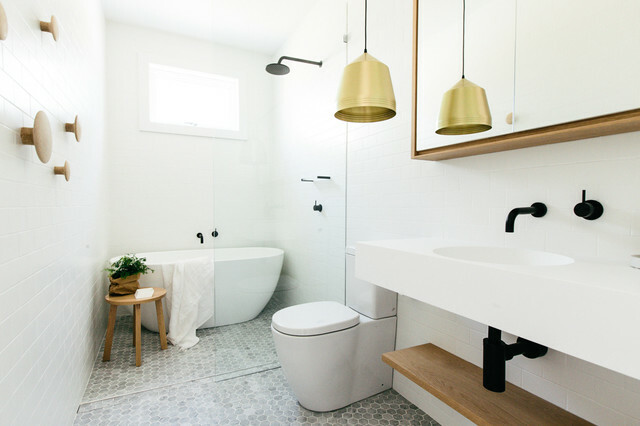 The metallic features and minimal hardware designs keep this bathroom looking cool and chic. Even though the window is relatively small, the white scheme looks so bright and airy. 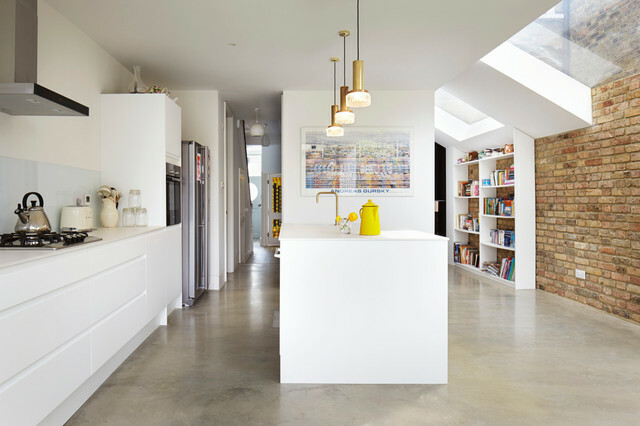 This is the kitchen/dining area of a flat in London. It, too, is East-to-West oriented, but the architect took down all the unnecessary walls to let more light flood through the place. It’s gorgeous – that parquet is so good. Image cred – Alvhem Makleri Interiors, Sweden. I love how the white backdrop makes even the smallest hints of colour really stand out. The mint green table looks so fresh. This master bedroom suite is gentle and feminine. The little geometric floor tiles define the en-suite space from the parquet of the bedroom and the blush pink drapes and lampshade add a soft backdrop of colour against the white walls, window frames and bed linens. Clearly I would be a big fan of this – that yellow coffee pot is now top of my ‘to find’ list – but I really love the rest of the scheme too. The rough exposed brick, against the polished concrete floor and gloss white is a dream. I hope you’ve enjoyed these envy inducing schemes – would you have an all white interior? If I ever have one of my own, I’ll be sure to share! This entry was posted in Inspiration and tagged bright, home decor, Inspiration, interior design, interior trends, interiors, redecorating, summer, white. Bookmark the permalink. I love white too. Such pretty pictures–it makes me want to try it in my own home!